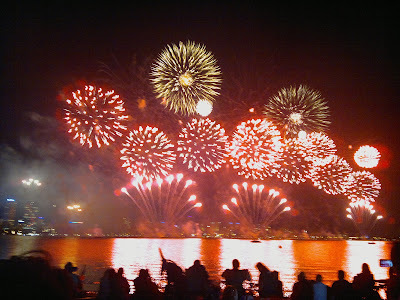 So what did you think of the Australia Day fireworks in Perth last night? Personally I thought that South Perth was a great place to see the fireworks, with a pretty manageable crowd there for the massive number of police officers in duty. 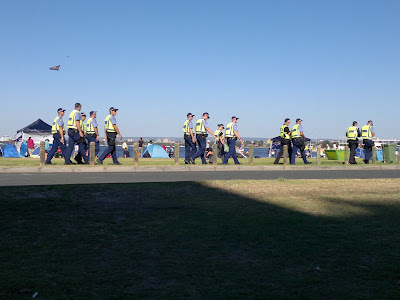 At one stage I saw thirteen cops patrolling the foreshore and then later, about 30 of them all gathered in one place standing around. 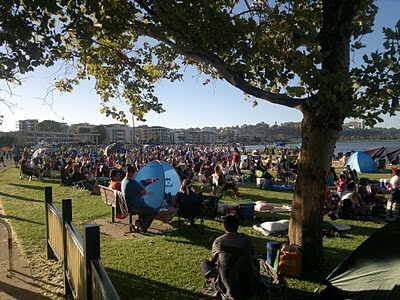 There was nowhere near as many people as there used to be on the South Perth foreshore with excellent vantage points still available especially between Queen Street and Mill Point Close. Bike riders mainly gathered at the north end of South Perth whilst most drivers stayed near the Mends Street Jetty. A Christian church handed out free glowsticks to kids and "Try this Quiz" Christian reading material to entertain the patient crowd. The drunken incidents were down by official accounts. In total, there were 23 arrests, 14 summons, 47 move-on notices and 39 liquor infringements handed out. 36 people were charged with drink-driving offences. Getting out of South Perth was a nightmare, with over-polite drivers mainly to blame holding up traffic by trying to turn right onto main roads like Labouchere Road and other main exits out of the area. 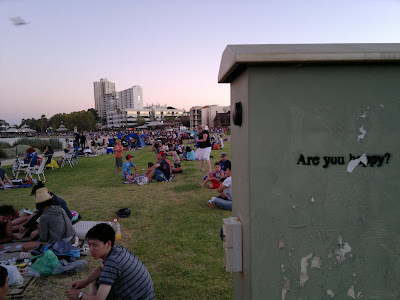 People catching the train from the city side were home extremely fast and as a nice surprise to many (although this is what they have been doing in the past few years) Transperth was not charging people for catching the trains home. The fireworks itself were pretty spectacular. Close to half a million dollars went into 31,000 shots of pyrotechnics over half an hour which is the biggest skyshow in Australia on Australia Day each year. Here is a clip of the last five minutes. Let us know what you think of it and if you went, what did you think of the event as a whole from where you were? 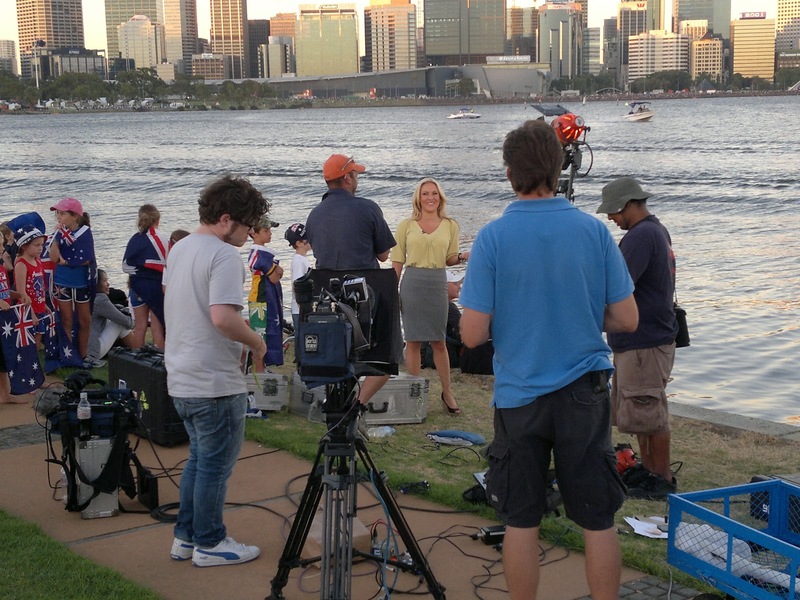 I am really surprised at the moderated traffic this year for skyworks! My gf's family said they took public transport and apparently it's FREE when you return from Esplanade and City Centre. As for me I drove from Mill Point and park my car at the end of the zoo. I have no major jam issue, unlike last year, the traffic flows slowly but progressively. Got home in less than 35mins!